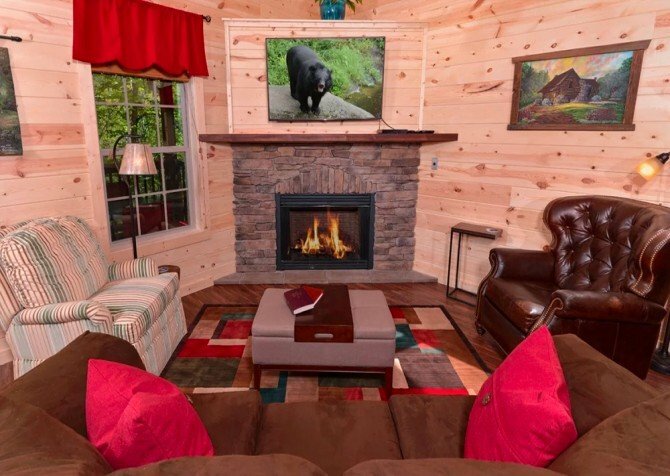 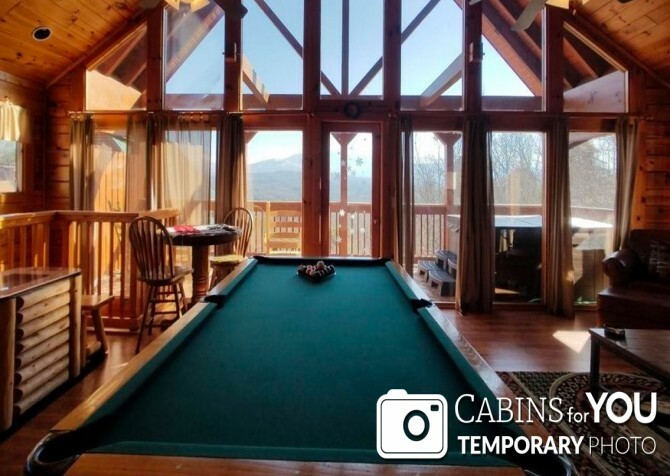 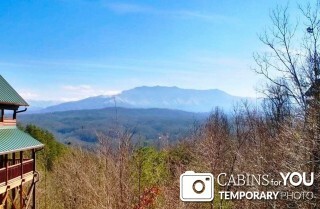 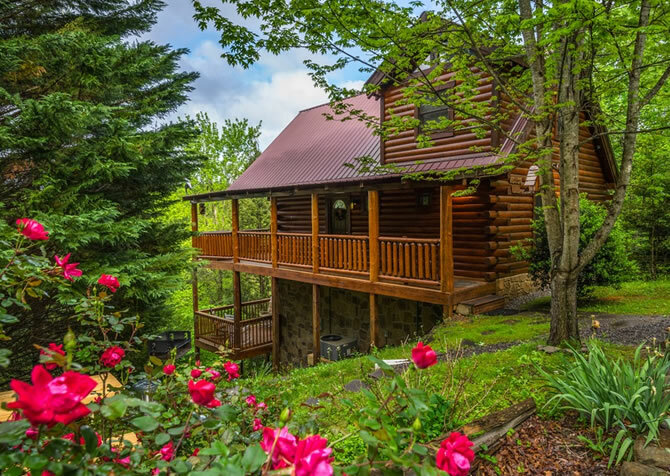 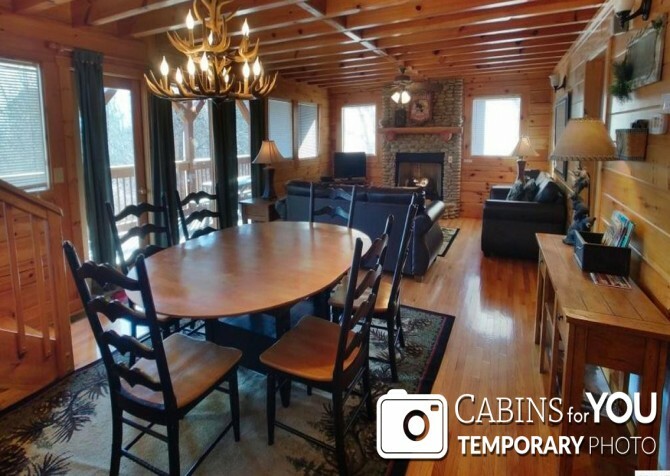 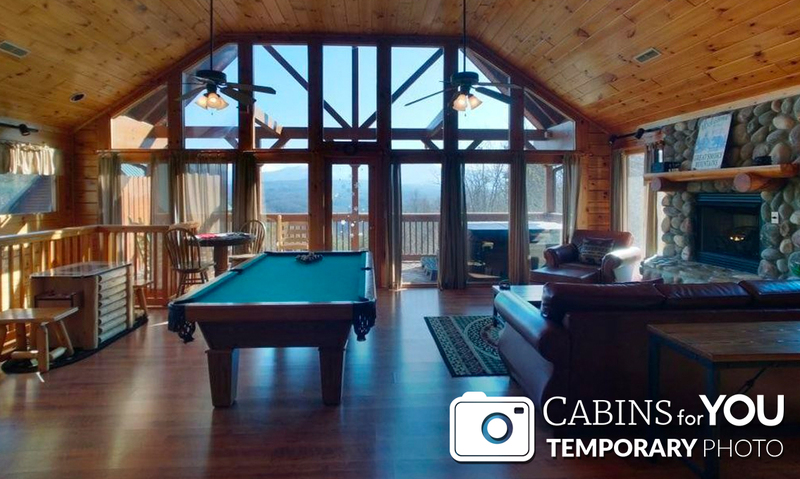 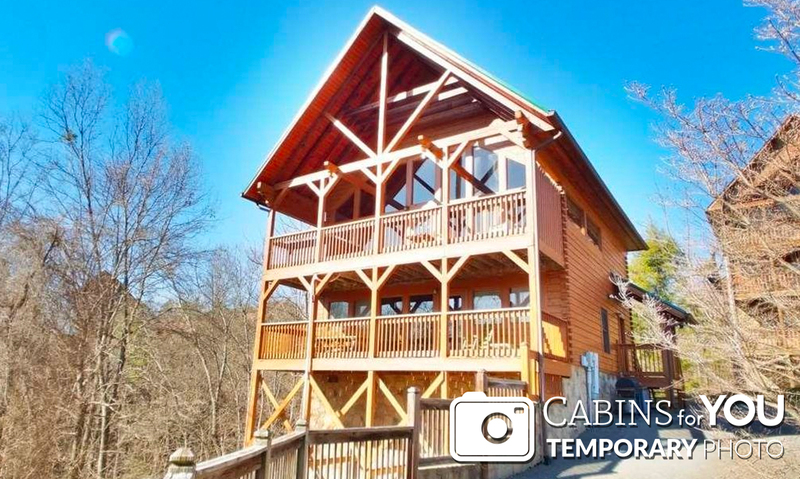 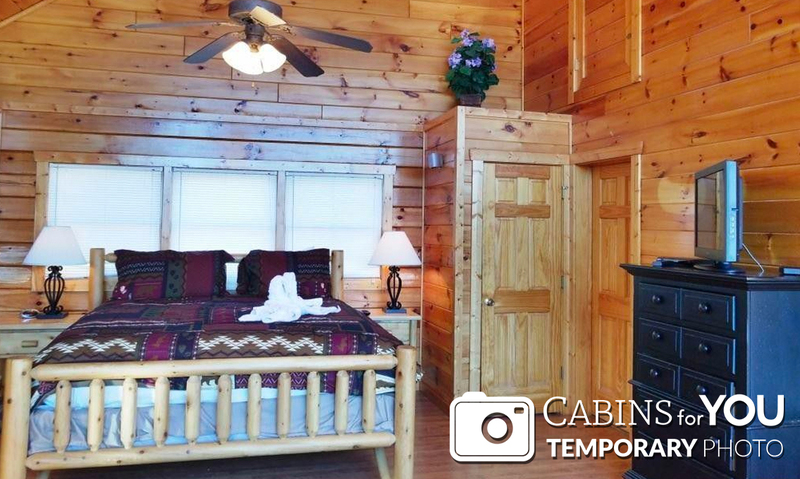 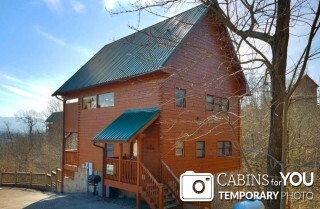 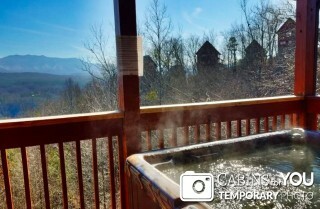 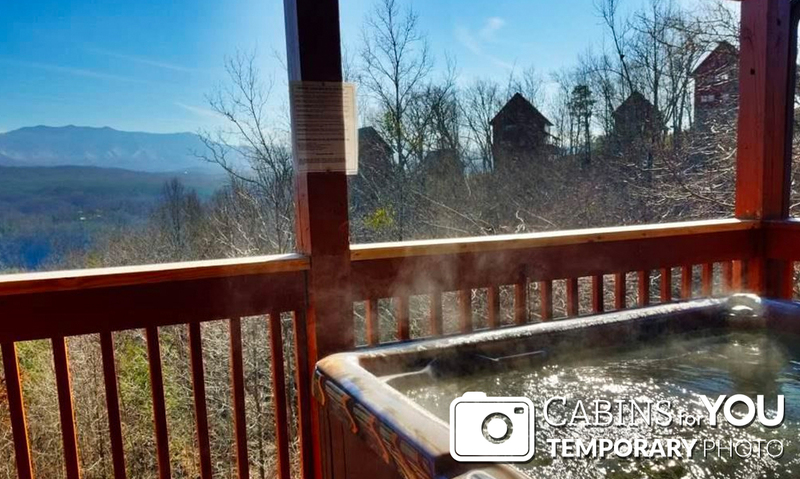 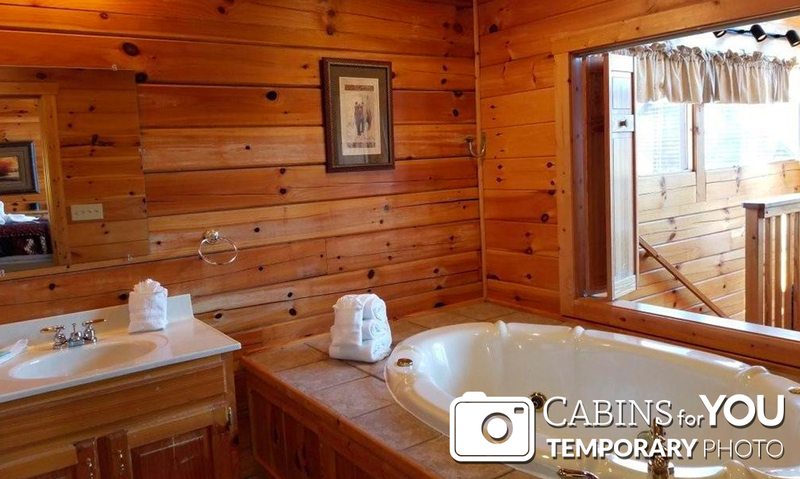 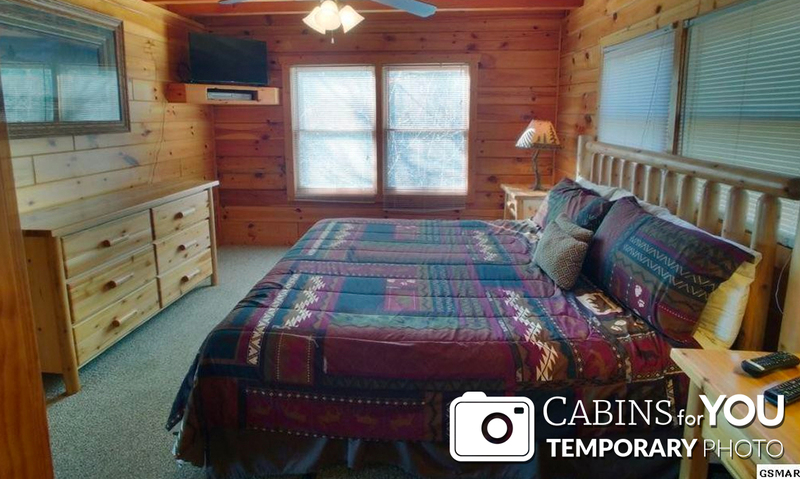 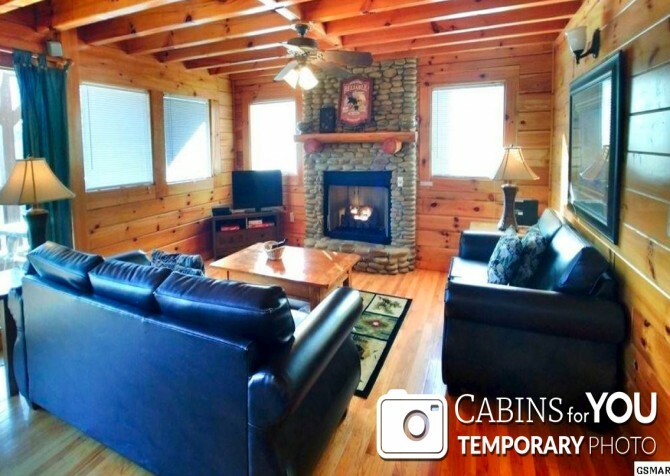 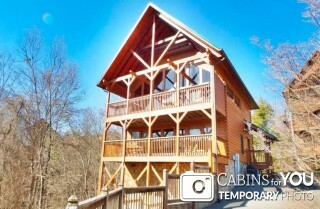 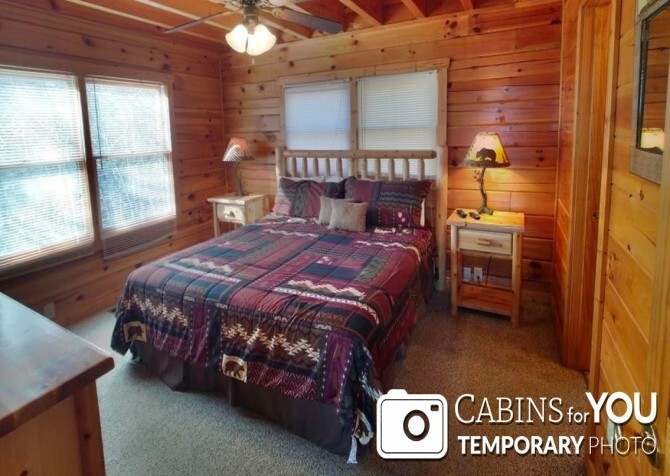 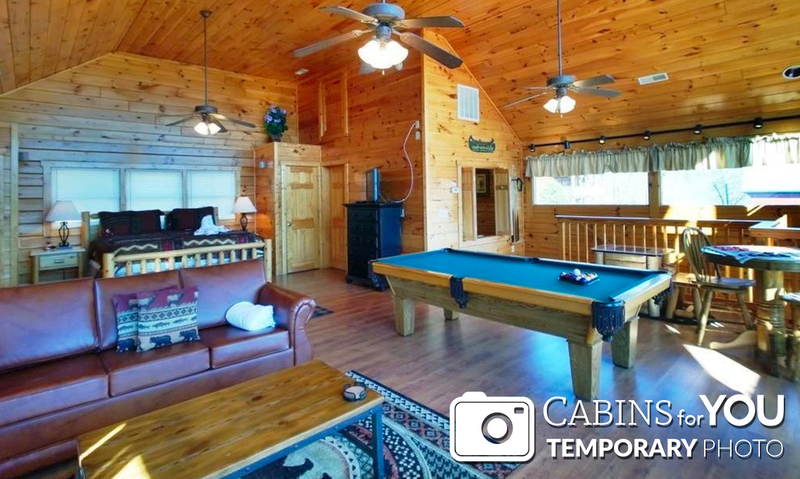 Slip away to this 1-bedroom + loft 1,500-square-foot cabin in Pigeon Forge for rest, relaxation, and fun. It features 2 bathrooms, space for up to 8 guests, lots of conveniences, and beautiful mountain views. 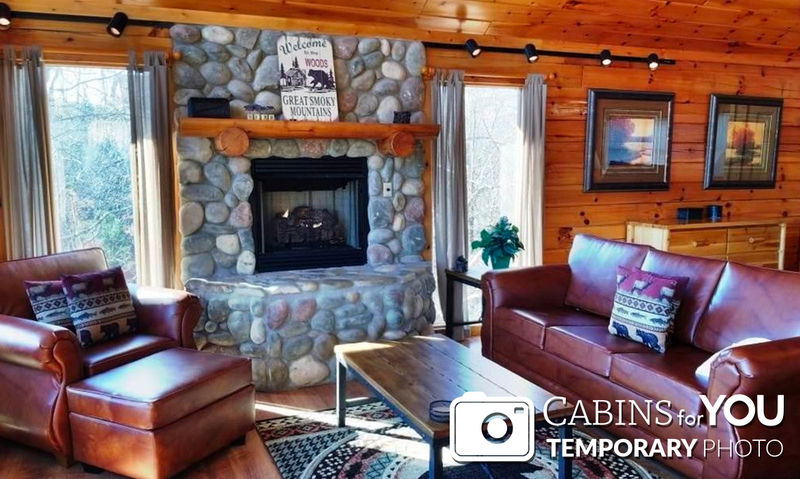 With wood interiors, floor-to-ceiling windows, and cool log and stone details, it’s a comfortable, stylish, and inviting space to call home while you’re in the mountains. At night, find a king-size bed and 2 queen sleepers, along with TVs in the sleeping spaces. When you want to unwind, cozy up in the living room in front of the stacked-stone fireplace; climb into the outdoor hot tub to enjoy mountain views; have a soak in the indoor jetted tub; or head upstairs to shoot pool, play arcade games and checkers, play air hockey, and hang out on the sofa by another gorgeous stone fireplace! 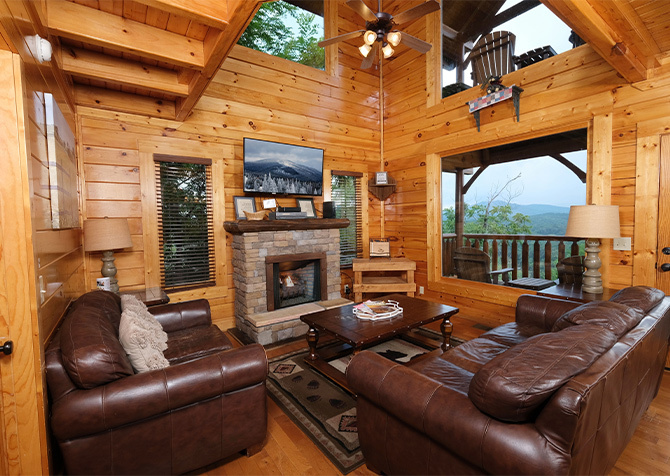 Floor-to-ceiling windows and a beautiful wood ceiling make this a truly beautiful and open space to hang out. 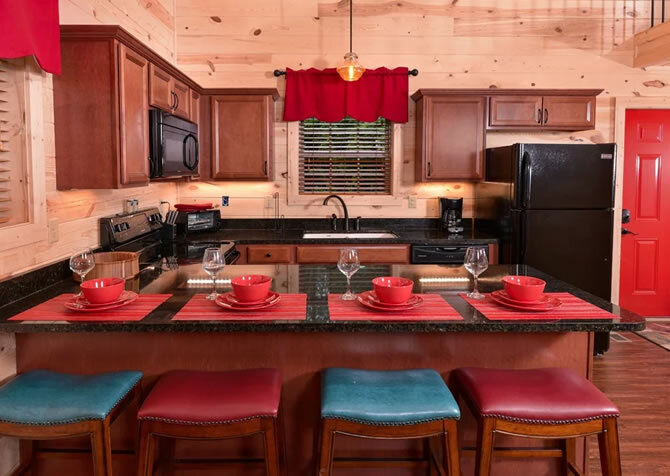 The fully equipped kitchen boasts stainless-steel appliances, and the dining table has seating for 6 and a unique antler chandelier. 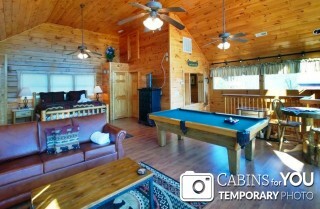 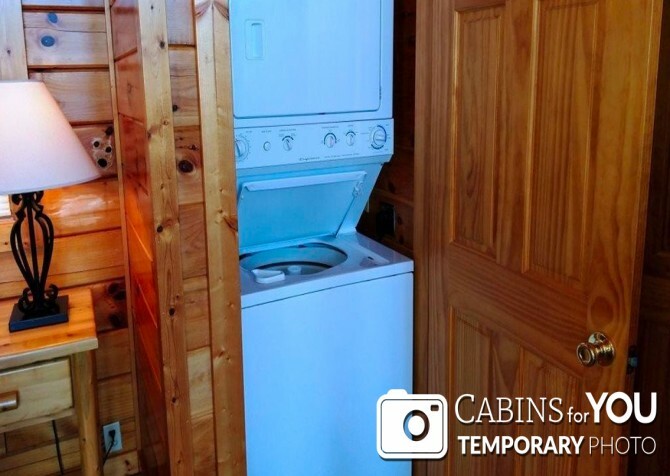 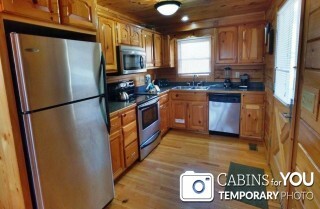 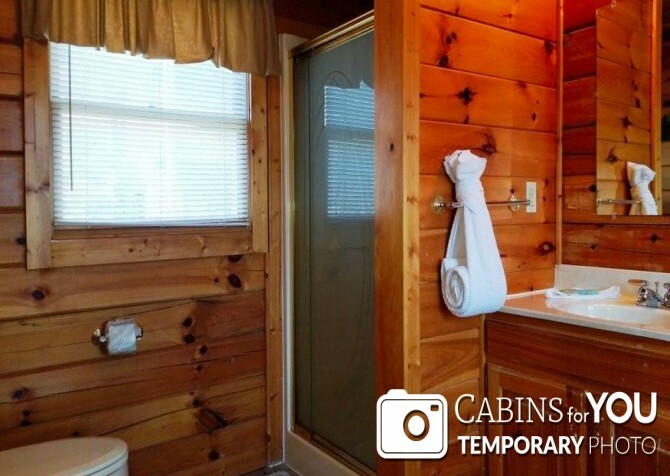 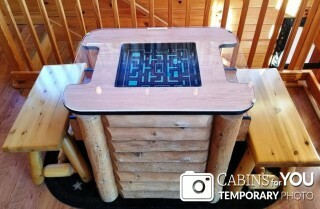 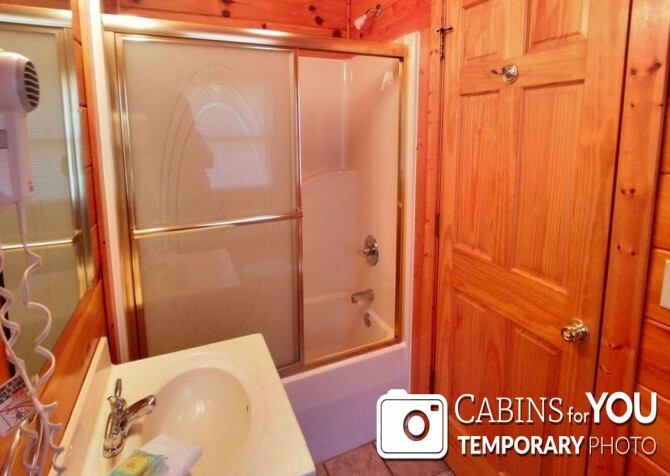 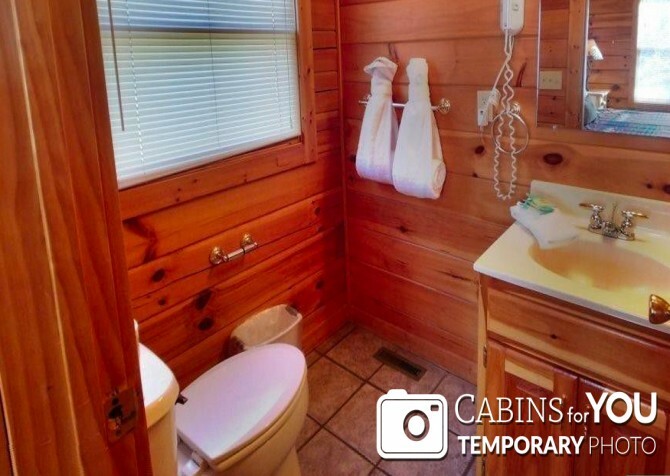 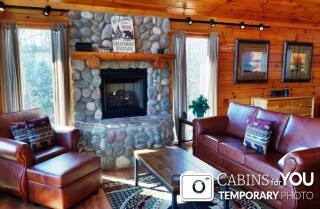 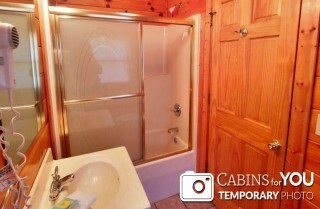 The cabin also has a washer/dryer and high-speed wireless internet, which make stays much easier! 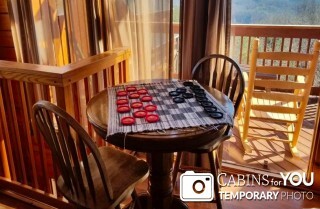 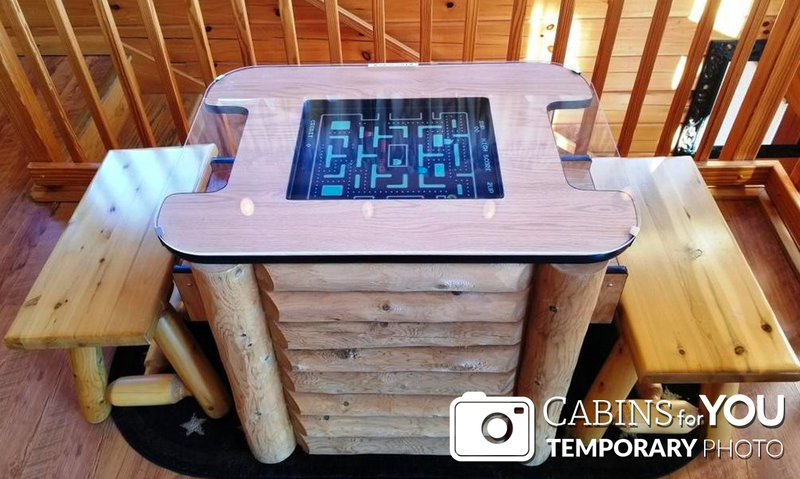 Bring movies for the DVD player, bust out the board games (found in the cabin) for family game night, and take advantage of the 2 Amazon Echo systems for music! Located in the Starr Crest resort, Mountain View also gives you access to a community playground (with huge slides and space to run and play), a covered picnic area, and an outdoor pool! Even the arrivals at Mountain View are easy, with flat, paved parking and pretty easy roads on the way!